The CES tech trade show never fails to disappoint as the world's most innovative brands set out to dazzle with their new ideas. And this year was no exception with some truly jaw-dropping demonstrations of how the technological world will continue to evolve throughout 2019. LG continues to shine as one of the most forward-thinking brands out there, and the team took home more than 140 awards and distinctions at CES, headed by the Engadget Award for Best Product in the TV category. There have been murmurings of rollable TVs for a little while now - but it's LG winning the race. LG say its incredible LG SIGNATURE OLED TV R9 is coming soon. Utilising completely new technology, this TV rolls down to disappear without a trace, leaving behind a true piece of art. This not only looks cool as heck but also maximises the space of a room. And, of course, the picture and sound quality is there to boot. It's likely to be very expensive when released, but that's the price you pay for being an early adopter. Give it a few years and no doubt rollable will be the norm. LG has also won the race to produce the world's first 8K OLED TV. With limitless contrast and 33million self-emitting pixels, this TV is truly awe-inspiring and cements LG's position in the ultra-premium market. It has the most powerful processor yet for dramatic picture and sound quality. Amazing. LG's ThinQ technology is evolving all the time. It's now much more than technology simply responding to commands - this is next level AI. The device - whether that's a TV, fridge, vacuum or oven - learns the behaviours and patterns of the user and uses that information to make life more comfortable. Heating systems, for example, will make recommendations on settings based on weather forecasts, robot cleaners will automatically get to work when the vacuum cleaner is in use and TVs will make programme recommendations based upon previous viewing habits. There are even ovens which can tell you when your chicken pie will be ready - and fridges will can recommend an accompanying wine from what you have in stock. You've got to show off a bit to grab the attention at these shows. 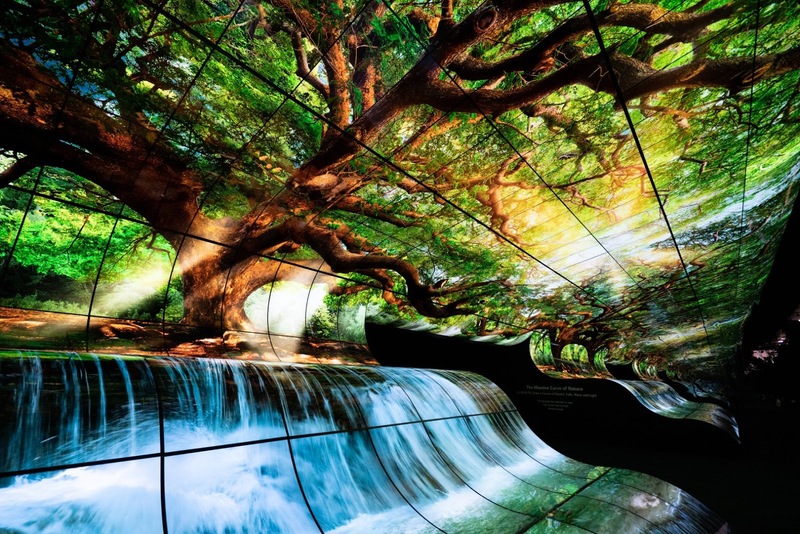 LG did just that with its immersive waterfall display made from 260 flexible LG OLED screens. The screens created an incredible tunnel for visitors to walk through. It really was a must-see CES exhibit.